Q: Why can’t we have a pure, straight up, unadulterated Death Match style Battleground? Now perhaps I play on the one single server that is completely and utterly diametrically opposed to the thoughts and desires of the other 200+ realms. Perhaps my circles of guild mates and friends, on an RP server no less, are just the exception to the prevailing wishes of the player base as a whole… but I doubt it. I believe Occam’s Razor is in full effect here. The simple fact is that in my experience nearly every PvP player I know would welcome a death match style battleground. So to see Blizzard not even acknowledge that it is something the player base wants is myopic at best and downright arrogant and insulting at worst. I believe I speak for the PvP player base as a majority when I state that we tire of overly complex and contrite vehicle mechanics that get old about 10 battles in. 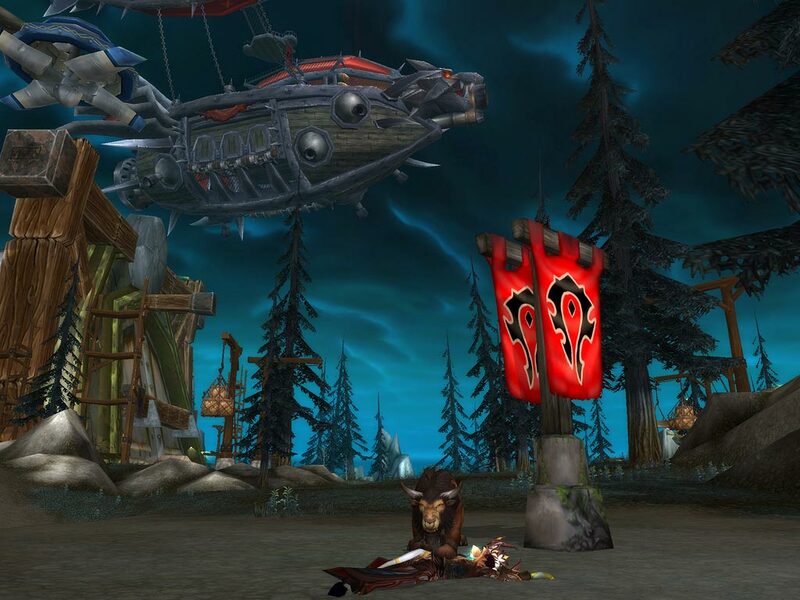 Most players would embrace any battleground that brought simple but visceral combat back into the game, much in the same way the old Tarren Mill versus Southshore open world skirmishes would ignite the entire zone. Blizzard should know what you and I know… that the player base does not want another Tol Barad. Just put the battle back into the battleground and your player base will thank you. This entry was posted on April 2, 2011 at 12:39 pm and is filed under General, MMO, PvP, World of Warcraft. You can follow any responses to this entry through the RSS 2.0 feed. You can leave a response, or trackback from your own site. The Field of Strife in the center of AV used to be a pit of death. Imagine how epic PvPers, and WoWers in general, would find it if 25-50 members of the Horde and Alliance stood at the edges, lined up, ready for battle. The music swells just as the timer hits zero, and each side rushes at each other over the snow and ice, cheering their war cries, brandishing their weapons, with no other goal than being the last one standing.